A lot of South African citizens go through a lot of trouble to inspect their house and property before making the purchase. One very important factor that they have to check is the neighbour’s house. We have seen it a lot here in South Africa where people are actually regretting their purchase due to inconsiderate and insensitive neighbours. In this article I will briefly explain why one should always check the condition of the neighbouring houses in order to be able to live in peace and harmony in your new home. 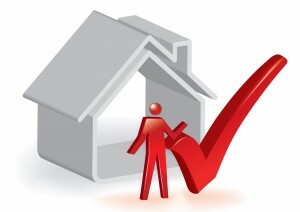 There are thus a few signs or indications to look for to know whether you will be happy with your purchase. The first thing that you should take a look at is the state of the garden of your future neighbours. If it is untidy on not well looked after, then it is a warning light. It just tells you something about the residence neatness. You can also look at the sate of the pool. The worst scenario will be if the drive way is cluttered with broken cars that are standing on bricks etc. One should also have their ears open. If you can hear a lot of shouting in the house next door, whether it’s the family members shouting at each other or at the pets, then it is also a red warning light. It’s important to check for these indications. You should also consult with community members to see how your future neighbours are fitting in with the community. Say for instants you went through with the property purchase before inspecting these factors and you find your self unhappy with your neighbours, then there are a few things that you can do. It is very common in South Africa to see court cases on this topic, but the good news is that the courts are in most cases on the on the complaint’s side, because it is important to keep the community on good standards. It is very clear that the law won’t allow for inappropriate and insensitive behaviour in residential suburbs. The best thing to do is, is to first go speak to the disruptive neighbour. If they fail to comply, take them to court. It will influence your relationship, but it is important to sort the problem out. You will actually do the whole community a favour. We can see that it is very important to check out the neighbours. It can be a very unpleasant story to live next to disruptive and noisy people. I believe that everybody has the right to come back to a peaceful and relaxing house after a long days work, and people should respect one and others privacy.